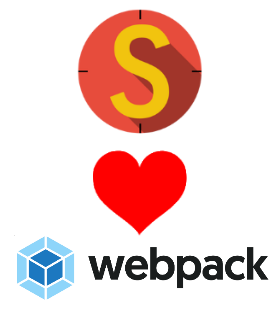 Webpack support is here! With this latest release you will now be able to teach Stryker how to create your test bundle. Stryker now supports bundling your code using webpack before running your tests. The installation/upgrade scenario's in this blog post can be circumvented by using the Quickstart if you don't already use Stryker in your project. 🔗 A bundle for each mutant? Let's say we're using Webpack to create that bundle. Well sir, let me bring you up-to-speed. We have just released the stryker-webpack-transpiler and with it, Stryker uses your webpack configuration to create the testing bundle. configFile: 'webpack.config.js', // Is your webpack config file somewhere else? Please specify it here. With this new support for webpack, we now start to support Angular projects! However, you still need to provide a webpack configuration to Stryker. If you're using the angular cli you probably don't have a webpack.config.js file lying around. In that case, head on over to nicojs/angular-stryker-example and take a look. We have tested it on small sized projects (< 100 tests). We would love your feedback if you're using it on larger projects. Unfortunately, this release does not mean that we now support mutation testing on react projects, as they don't use webpack for testing. Instead, you're probably using Jest which is responsible for loading your tests in a nodejs environment (using JSDom). However, we are working on first class support for any project using Jest, so you won't have to wait long. Webpack support is awesome, but performance does take a big hit if we need to bundle each mutant. Having the coverage analysis can help a lot with that. As of yet, we don't support coverage analysis when using a transpiler. However, PR 559 looks promising and we'll be merging that into master in about a week or so. We will also be working on React support with support for the Jest test runner. You can expect that in the next couple of weeks as well. Special thanks go out to @Archcry. He created the webpack plugin during his internship. Give him some love!